Report reveals the player Rafa ‘quickly regretted’ signing last summer – & he’s now all set to leave – NUFC blog – Newcastle United blog – NUFC Fixtures, News and Forum. Rafa Benitez quickly regretted the arrival of Kenedy according to the Chronicle, with Mark Douglas claiming that the Spaniard soon saw the Brazilian as a ‘waste’ of a domestic loan slot. With Kenedy arriving on a season-long loan from Chelsea and Rondon signing on a temporary basis from West Brom, our two domestic loan berths were quickly taken up. This wouldn’t have been a problem if Kenedy had recreated the form that saw him become a big of a fans favourite during his half-season stint last year, but the 23-year-old has had a disastrous second spell at the club. He failed to recover from a few disastrous performances early in the season and has struggled to nail down a place in Rafa’s side , failing to start a single league game since the turn of the year. ‘He believes United could make better use of the loan market, having privately felt fairly early on that the Kenedy move was a waste of a domestic berth . 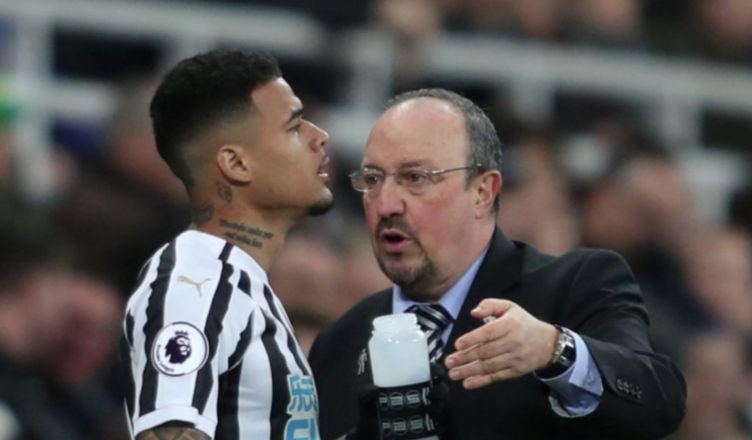 ‘The best teams fighting alongside Newcastle in the Premier League have utilised their loans better – but one of the reasons Kenedy was not sent back was because of Benitez’s good relations with Chelsea and the player’s representatives. Kenedy may have been a wasted loan signing, but at least we didn’t pay £20m to sign him permanently. He’ll return to Chelsea this summer and it’s fair to say he won’t be returning; even if they offered him to us at a ‘cut-price’ fee. Kenedy will go somewhere else, will be allowed to play his own game, and will become a superstar. Good luck to him if he does. He played his part in helping to keep us up last season, so I hold no ill will towards the lad. He’s done nowt this season – other than to prove there is some advantages to loaning players before you buy. I have no issues with this approach – which Wolves seem to be using to great affect. He played his part in helping to keep us up last season, so I hold no ill will towards the lad.He’s done nowt this season – other than to prove there is some advantages to loaning players before you buy.I have no issues with this approach – which Wolves seem to be using to great affect. Read that his partner had a baby last summer but they’ve stayed in London. Could’ve been an issue, just like Hayden.